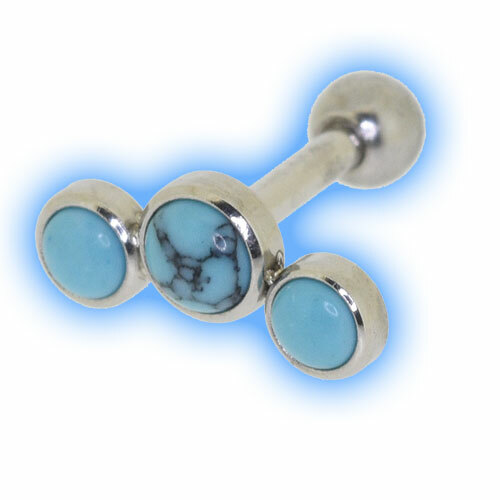 This Triple Turquoise Barbell is very unusual and we think it looks super cute in Ear Piercings such as Tragus, Helix and even Standard Lobe piercings. 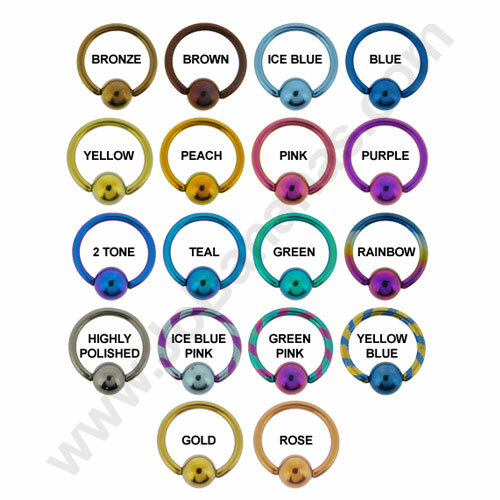 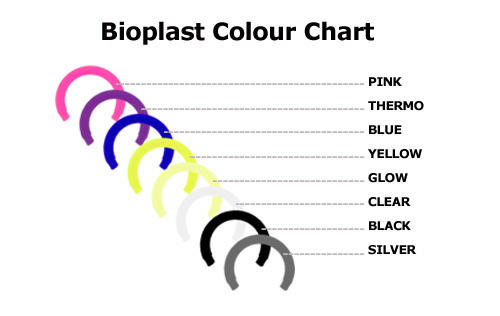 The bar is made out of 316L Surgical Steel and is 1.2mm (16 Gauge) thick by 6mm (1/4") long (in between the ball and the front part), the turquoise part is fixed and the ball is removable so that the bar can be fitted into your piercing. 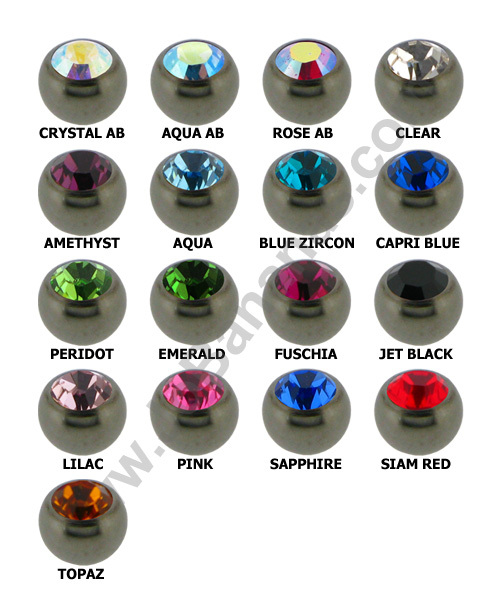 The stones are available in either 3mm/4mm/3mm (as shown) or 3mm/3mm/3mm.